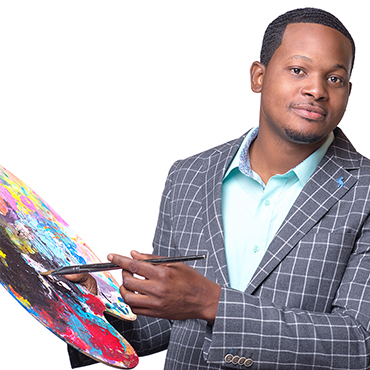 Jamaal Rolle, known as The Celebrity Artist, is an award-winning visual artist who is famous for his life-like portrait depictions of world figures, government officials, and A-list celebrities. Jamaal’s clientele includes notable persons such as Prince Harry, US President Barack Obama, Senator John McCain, Oprah Winfrey, and Pope Francis. Born in Nassau, Bahamas, Jamaal is a self- taught artist who has the keen ability to present life-like images on his canvas and viewers are mesmerized by the subject’s likeness. Although a portrait specialist, The Celebrity Artist works in a wide range of styles in various media such as oils, acrylics. He has garnered international attention and viral sensation. He has been featured in over 100 international media outlets including BBC, CBS, ABC, The Travel Channel, People Magazine, The New York Post and BET.